This week in honor of Earth Day we are primarily featuring ebooks. 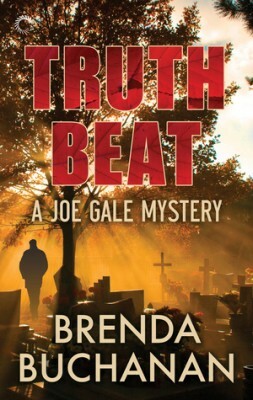 Details at the end of this post on how to enter to win an ebook copy of Truth Beat and an ebook copy of another book in the series-Book #1 (Quick Pivot) or Book #2 (Cover Story), and a link to purchase Truth Beat from Amazon. When reporter Joe Gale receives a tip from Stella Rinaldi about police activity at the St. Jerome churchyard, for once it’s not about the controversial dismantling of the shuttered Gothic building. Tragically – or perhaps ironically – the man in charge of the closure, Father Patrick Doherty, has been found dead in the garden. Preferring to be called Patrick, the priest opposed the diocese during a priest abuse scandal and instead supported the victims while currying the ire of the bishop. As punishment, Patrick was forced to coordinate the consolidation and closure of many parishes, making him the representative and target of those infuriated at seeing houses of worship being sold off piece by piece. While Patrick’s closest friends and sister are heartbroken at his death, Joe’s reporter instincts all have him suspicious that it was anything but natural. Evidence indicating first suicide, then murder, has Joe delving into the life of a man who was both admired and blamed for the collar he wore. High school bombings prove distracting when they pull resources from the Portland Daily Chronicle, and that’s before Joe learns of the involvement of his girlfriend’s teenaged son. Getting to the truth may be Joe’s mission and his beat, but it comes with the price of alienated friends, enemies, and those willing to kill to keep it from being revealed. The weighty topics of faith and religion are handled very delicately, presenting a balanced view of the Catholic Church’s most recent scandals. It is possible to have faith in God, while not trusting those who claim to represent Him. Those fascinated by the recent movie Spotlight will be sure to enjoy this examination of the issue, with the novel exploring additional perspectives from those involved. Joe is a very down-to-earth, dedicated journalist, one fed up with the hypocrisy of editors intimidated by the power of the institutional Catholic Church. A support group of those hit by tragedies lends added insight to the novel, introducing sympathetic characters torn by their faith. Newspapers may be struggling to stay alive against the trend of click-bait social media, but the need for integrity in journalism is never more apparent than it is in this moving, compelling novel. Old fashioned reporting proves that it is still relevant, as Joe admirably strives for truth, with empathy, instead of tabloid-grabbing headlines. To enter to win an ebook copy of Truth Beat and an ebook copy of another book in the series-Book #1 (Quick Pivot) or Book #2 (Cover Story), simply email KRL at krlcontests@gmail[dot]com by replacing the [dot] with a period, and with the subject line “beat,” or comment on this article. A winner will be chosen April 21, 2018. U.S. residents only. If entering via email please include your mailing address, and if via comment please include your email address. BE SURE TO MENTION WHICH OF THE OTHER 2 BOOKS YOU WANT. Awesome! I’d love the first book in this series since I haven’t read it yet! Would really like to read. Thanks for the chance. I like the sound of this. Thank you.